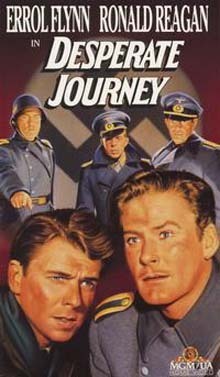 Ronald Reagan Appears as Johnny Hammond in "Desperate Journey"
Desperate Journey is a 1942 American World War II aviation film starring Errol Flynn and Ronald Reagan. 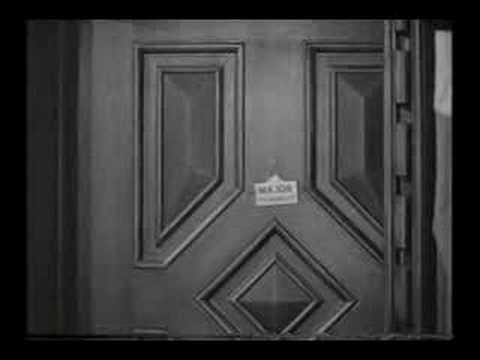 The supporting cast includes Raymond Massey, Alan Hale and Arthur Kennedy, and the movie was directed by Raoul Walsh. Fast-paced and not overly serious, it showed wartime audiences a handful of downed Allied airmen besting the Third Reich, often with their fists. The surviving crew members of a Royal Air Force bomber shot down near the former Polish border traverse the breadth of Nazi Germany and the occupied Netherlands to get back to England. 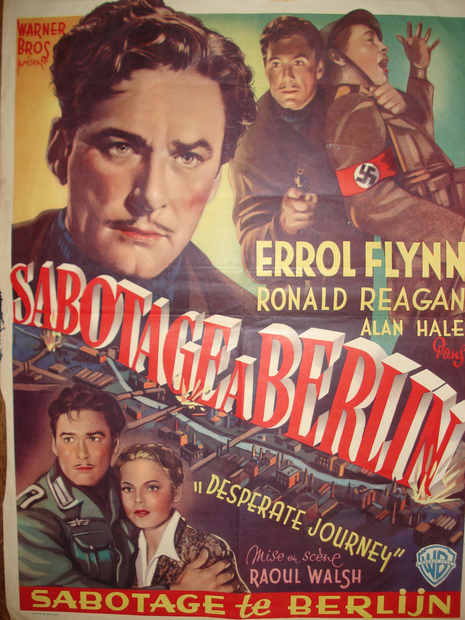 Led by Flight Lt. Terrence Forbes, an Australian (Flynn), and Flying Officer Johnny Hammond, an American (Reagan), pursued by a Nazi major (Massey) and aided by an anti-Nazi nurse (Coleman), the men repeatedly evade capture, eventually flying home in a recaptured British airplane that the Germans had planned to use in a sneak attack on London. A unit of the British Royal Air Force is assigned to bomb a German railway. Although they are ordered to fly at a high altitude, their bomber is spotted by the Germans, who attack them from both air and land. After the squadron leader is shot, Flight Lt. Terrence Forbes takes charge and rashly flies the plane beneath the cloud cover, causing the plane to be shot down.